HomeRun Dental (Chicago) - Book Appointment Online! HomeRun Dental | WrigleyvilleHomeRun Dental, the newest Wrigleyville dental office, will be opening soon. 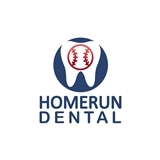 Dr Alaleh and the staff at HomeRun Dental promise to provide the highest level of customer service, state of the art dental equipment, and the expertise and quality dental care you deserve.We have designed our practice with you in mind. Watch TV in every treatment room and in the reception area. We also offer our patients secure Wi-Fi throughout our office. Enjoy our gourmet coffee or a water bottle while you wait.